for $424,900 with 4 bedrooms and 3 full baths. This 2,754 square foot home was built in 1995 on a lot size of 0.2570 Acre(s). Phenomenal residence in coveted Creekside Estates w/community park and playground in Forest Hills Northern Schools! 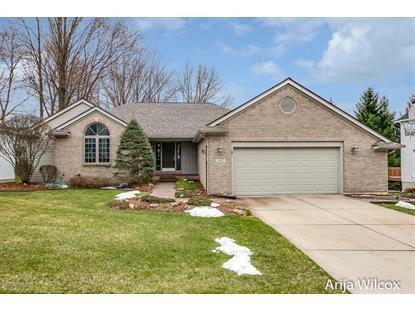 Delightful 4 BR/3 BTH custom ranch home thoughtfully designed by Joel VandenBerg with 4 Brs (1 non-conforming Br), 10' ceilings, 3 full baths, newly stained deck, finished lower level, and is meticulously groomed!! Welcoming great room w/10' ceilings, great kitchen w/granite surround, spacious dining, main floor master suite, office/den/bedroom #2, w/additional full bath. Lower level daylight has open great room, spacious 3rd Br., 4th non-conforming Br/bonus room, plus 3rd full bath, and huge storage area. Heavenly plantings, brick laid entry, 2-1/2 car garage, newly stained deck, professional landscaping, underground sprinkling included! NEW furnace/AC/G-door opener (2017), NEW roof (2014) included. 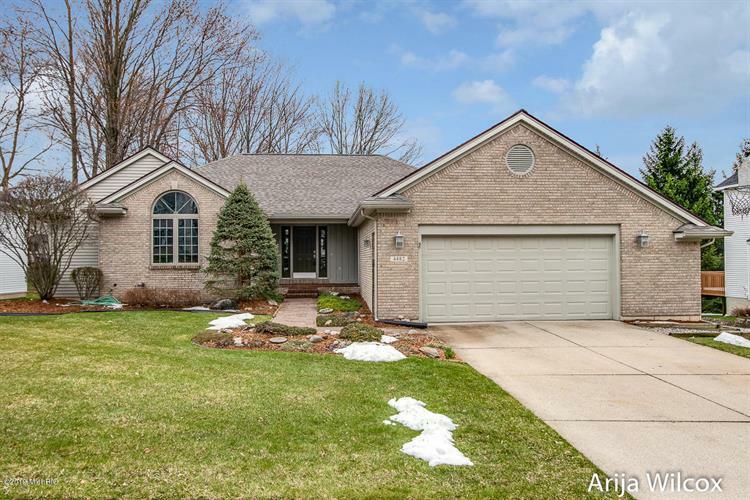 Perfect location, walking distance to Meadowbrook Elementary, trails, parks, entertainment, shopping, restaurants, Downtown GR, and expressways!